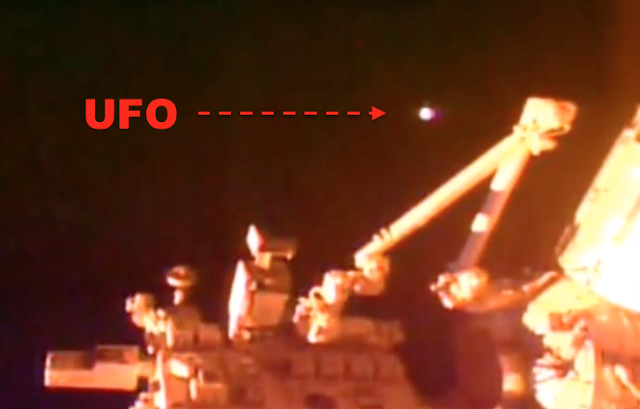 UFO SIGHTINGS DAILY: UFO At International Space Station, NASA Quickly Goes To Blue Screen, July 31, 2016, Video, UFO Sighting News. UFO At International Space Station, NASA Quickly Goes To Blue Screen, July 31, 2016, Video, UFO Sighting News. This UFO was found by Streetcap1 of Youtube and its a bright, solid orb thats just a meter from the space station. 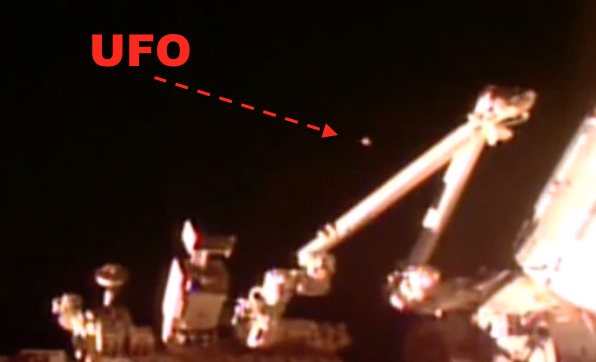 It is monitoring the activity of the astronauts and then at the end of the video the UFO is noticed by NASA and they quickly turn it to blue screen to stop anyone from noticing it. Once again transmission was cut, this time 'blue screen' as this is from the lower quality broadcast, not the HD viewer. There are a few intermittent flashes at the center screen, then the camera goes off. Streetcap1.